Are you playing the right casino game? If you head straight for the flashiest slot machine or the loudest table game, that might not be the smartest move you could make. Before you sit down to play online or walk through the doors of a Las Vegas casino, there are 5 important things you should evaluate. If you’ve never gambled before, but you’ve invested in the stock market, in mutual funds, or in a 401K, chances are you’ve chatted with you bank or a financial advisor about your investment comfort level. Even if you hate investing and are quite conservative, your banker likely walked you through a risk assessment profile before choosing where to put your hard earned money (if they didn’t, maybe it’s time to switch banks). Gambling is no different. Before you sit down to play online casino games or even contemplate setting foot inside a live casino, you need to ask yourself what kind of money you’re comfortable with losing. If your answer is less than $25, you’ll definitely want to stick to the penny slots at a live casino. If your answer is between $25 and $50, you can start to work video poker into the equation. If you’ve got over $50 to risk, you’re safe to start hitting the tables. That’s because, at least in the live casino world, table games come with higher minimums. While you can bet $1 per hand at the Blackjack tables at an online casino, the live casino world often requires minimum bets of $10 or sometimes even $25 per hand. The type of game you want to play doesn’t always coincide with the type of game you should be playing. A big factor, particularly in the live casino world, is whether you plan to consumer alcohol while you play. That’s because consuming alcohol causes you to bet more than if you didn’t consume alcohol. It’s common knowledge that alcohol makes many people lose their inhibitions. But a recent study links consuming alcohol with betting behavior. In a series of tests, those consuming alcohol bet more on average than those who consumed a placebo. Therefore, it’s not just the act of drinking alcohol and being social that causes players to bet loosely. It’s the actual alcoholic content of those beverages that makes a difference. STEP #3: Extrovert? Or introvert? When you play casino games, your goal shouldn’t be to make money. It should be to have fun. And a big part of that involves making sure the game you’re playing fits your personality type. If you’re an introvert, you might not be comfortable in certain social situations. That doesn’t mean you don’t like being around people. It just means you might not be one to strike up a conversation with those you’re not familiar with. Conversely, if you’re an extrovert, you might crave conversation with other casino gamblers. If you’re an introvert and don’t want to chat with others, slots and video poker are a safe bet. But that doesn’t necessarily mean you need to steer clear of specialty games and the tables. Roulette, for example, can involve a lot of comradery. But you can just easily place a bet and step away from the table while everyone else gets in on the action. Craps, however, tends to be a game where people love to chat and celebrate big wins together. That’s not to see that introverts won’t feel comfortable playing craps. But if you’d rather not chat with strangers, it might not be fore you. So what about games like Blackjack and Baccarat? When there are a few people at the table, everyone can get a sense of whether others are open to chatting or just want to be left alone. What’s more, the way you respond to wins and losses could be different based on whether you’re an introvert or an extrovert. According to another study, extroverts process rewards differently in the brain. The study looked at brain activity when gambling bets paid off and concluded that introverts, while still excited with the win, processed the result of the win differently. STEP #4: Are you a math nerd? How great are you with crunching numbers on the fly? If you can barely add two numbers together without a calculator, stay away from games like Blackjack where you require math to make a decision. If you’re really great at numbers, you might want to consider poker. Those who are great at math tend to do really well. That’s because poker is a game of numbers and statistics. Every time a card hits the felt, every time you move position in the game, the odds swing in different directions. Those who can figure things out are better prepared to make the right bets, bow out of the right hands, and win when they’re supposed to. Math is such a big deal that one of the world’s leading math and engineering universities pumps out an unreal number of successful poker players. There’s no actual poker course at the University of Waterloo, but the renowned university in what’s known as Silicon Valley North has produced a number of poker players who have gone on to win millions on the live tournament circuit. If math is your jam, head right to the poker tables or the video poker machines where you can put your quick analytical skills to good use. How important is competition to you. Do you want to just beat the house? 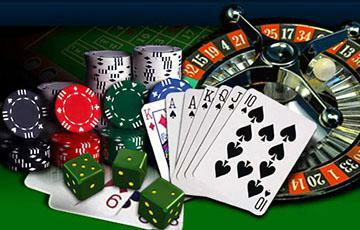 Or is your ultimate goal to beat other casino players along the way. If it’s the former, almost any game will do. But if your goal is to win more than anyone else, you might want to head directly to the poker room where you can use your brainpower to outsmart your fellow poker players. Remember, in poker, you’re playing against other players instead of the house. You could potentially hold the worst hand in the game and actually win, just by reading other players and playing your cards right. That’s the “get down to playing and winning” step. You can do that for free right now at Silver Oak Casino. We even have free casino games, so if you’re not great with math or feeling risky, it doesn’t matter — regardless of what you choose to play.